The award-winning American Southwest Theatre Company’s most recent accomplishment is its production of the “The River Bride” — a Brazilian fable about two sisters looking for their happily-ever-afters in a small fishing village along the Amazon River. Belmira, the younger sister, is engaged to Duarte, who has a secret romantic history with Belmira’s older sister Helena. This conflict is complicated when, days before the wedding ceremony, the sisters’ father finds a mysterious man unconscious, floating in the Amazon. The sisters are mesmerized by this strikingly handsome man. Belmira finds herself even more attracted to the stranded guest than to her fisherman fiancé, but the stranger is immediately fascinated by Helena. The story creates strong feelings of mystery and romance as the plot thickens with anticipation to an almost intolerable level before reaching a gripping and unpredictable climax. The cast for this production includes NMSU theatre arts majors Jessica Jimenez, Melissa Hernandez, Yamilex Holguin, Daniel Romero, Josh Cortes and Mozart Pierson. 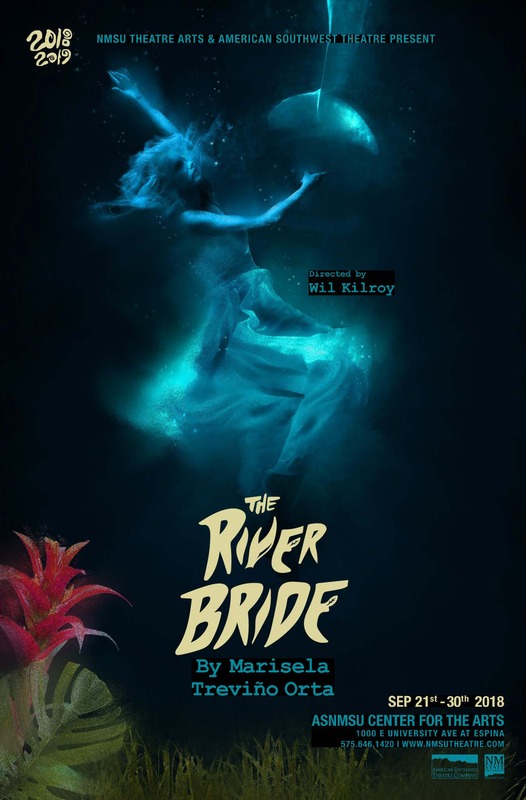 The production of “The River Bride” was directed by theatre arts department head Wil Kilroy. A unique aspect of NMSU’s recreation of “The River Bride” is the original music composed by NMSU music department head Lon Chaffin. One must see this production to fully understand the story of two sisters growing toward new beginnings of love in a small fishing village in Brazil. Showings of the production are at 7:30 p.m. Sept. 28 and 29, and 2 p.m. Sept. 29 and 30. Tickets for “The River Bride” can be purchased an hour before the performance begins. For more purchasing options visit the NMSU theatre arts box office website.